Bayer 04 Leverkusen’s sporting director Jonas Boldt has recently revealed that the club has no intention of parting ways with Leon Bailey when the transfer window reopens in January. It is understood that the Bundesliga outfit are not willing to do business during the winter transfer period which would concern Liverpool as they were being linked with a move to bring the Jamaican starlet to English football. This recent revelation will be a big worry for the Reds’ chances of landing the player in January as Bailey would have been the perfect signing to help the Merseyside club mount a realistic title charge this season. Leon Bailey – A Future Star? The Jamaican international has incredible pace and possesses the ability to dribble with the ball out of congested areas to create chances for his teammates, while also scoring the odd goal now and then. On his day, he can give any defender a run for their money which is why he is considered by many as one of the best wingers that the German Bundesliga has to offer. Bailey is one of the quickest players in Europe and has a tremendous left peg which packs a lot of power. 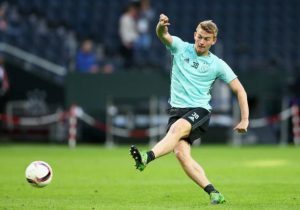 However, the 21-year-old still needs to work on the physical aspects of his game, if he wants to prove himself at the highest level. Will It Be A Huge Blow For The Reds? Even though Liverpool are blessed with a lot of options in the attacking department, missing out on a player of Bailey’s potential would be a big blow for Jurgen Klopp. 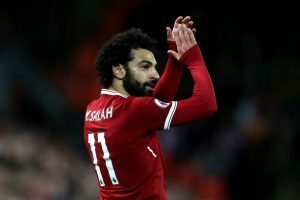 He fits the Merseyside outfit’s style of play to the T. However, Klopp already has two pacey left-footed wingers in Mohamed Salah and Xherdan Shaqiri, so it doesn’t make sense to sign another player of that ilk. Maybe a potential move down the line for Bailey would suit Liverpool well especially because Klopp could then use his January transfer kitty to sign a creative midfielder which the Reds are in dire need of at the moment. Arsenal Monitoring The Progress Of This Bundesliga Midfielder: Should Emery Make A Move For Him? 3 Replacements For 25 Y/O Sensational Target Man At Liverpool Amidst Interest From Real Madrid! 3 Replacements For 25 Y/O Liverpool Winger Amidst Interest From European Giants Including Barcelona! Tottenham Hotspur Launch Bid For This Bundesliga Midfielder: The Right Choice For Spurs?